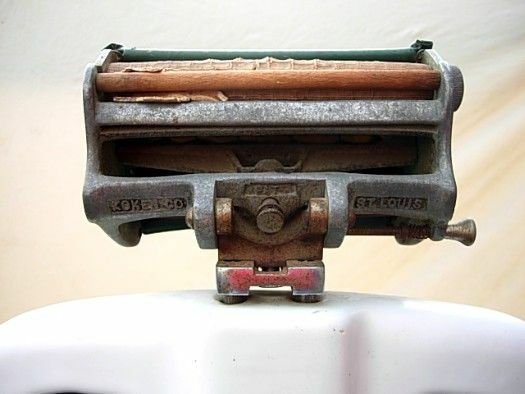 A Cut Above! 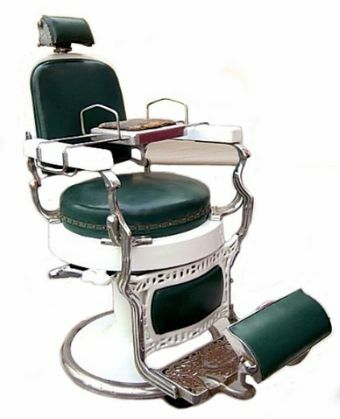 - The Vintage Shaving Shoppe Blog: Koken Barber's Chair "Striptease"
Get your minds out of the gutter gentlemen! It's not that I'm above adorning one of my fine old chairs with Megan Fox or Angelina Jolie, it's just that we can't manage to synch our schedules. 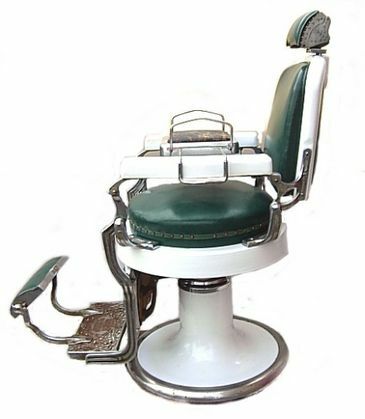 Seriously, I introduced the magnificent Koken barber's chair (shown below) to you several months ago. While it looked really good for a 80+ year old chair, I wanted to bring it closer to its original state. Believe it or not, this was a minimal (although not inexpensive) effort. 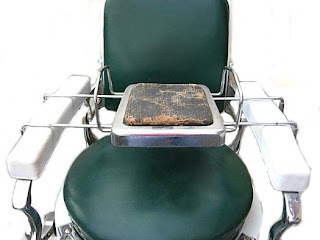 I had the two foot surfaces (shown worn to the iron in the below photos) replated in the original thick nickel - many people don't know that chrome plating was not used on this chair. 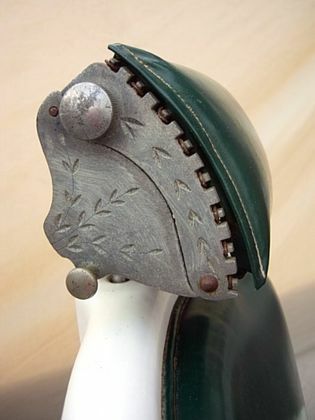 Also the tacks that secure the seating fabric to the chair seat, which were rusted, have been replaced with new nickel plated tacks. 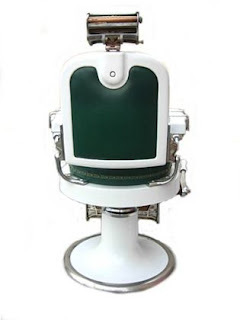 These are small things to some, but it is truly rewarding to see this chair as the excited young barber who plunked down considerable cash for it did when it was delivered to his shop. Take a last look in this posting at the pre-restoration condition and keep and eye out for photos of the fully restored chair in our blog! Purchase inquiries at $2,700 will be entertained. Local pickup is recommended. Shipping can be arranged but can be extremely expensive.